German imperialism in Europe evokes images of military aggression and ethnic cleansing. Yet, even under the Third Reich, Germans deployed more subtle forms of influence that can be called soft power or informal imperialism. 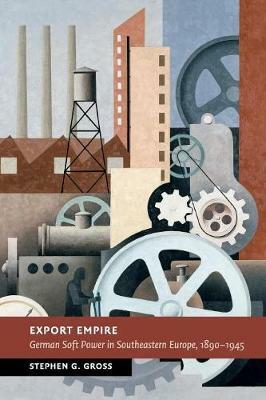 Stephen G. Gross examines how, between 1918 and 1941, German businessmen and academics turned their nation - an economic wreck after World War I - into the single largest trading partner with the Balkan states, their primary source for development aid and their diplomatic patron. Building on traditions from the 1890s and working through transnational trade fairs, chambers of commerce, educational exchange programmes and development projects, Germans collaborated with Croatians, Serbians and Romanians to create a continental bloc, and to exclude Jews from commerce. By gaining access to critical resources during a global depression, the proponents of soft power enabled Hitler to militarise the German economy and helped make the Third Reich's territorial conquests after 1939 economically possible.